Solutions Review, the leading enterprise-level vendor-agnostic technology publication, announced the release of their latest resource: The SIEM Vendor Map. The SIEM Vendor Map profiles 22 of the top players in the market and their solutions; it then positions them in their proprietary Vendor Map based on their technological focuses and their respective strengths. The SIEM Vendor Map will help decision-makers find the right SIEM solution for their business’s individual needs, as well as help them internalize the key components of an optimal next-generation SIEM solution during their selection process. The resource examines the delicate balance of three major capabilities in SIEM solutions—threat detection, log management, and compliance— including how they inform one another and how vendors prioritize each in their products. The editors of Solutions Review gathered their information via a meta-analysis of available online materials and reports, conversations with vendor representatives, and examinations of product demonstrations and free trials. As a vendor-agnostic publication, Solutions Review weighed each product and provider without bias to obtain the most objective perspective possible on each. The goal of the SIEM Vendor Map is not to endorse a particular vendor or solution, but to supplement enterprises’ research into a complex and increasingly vital marketplace. The Solutions Review SIEM Vendor Map can be downloaded at no cost here. 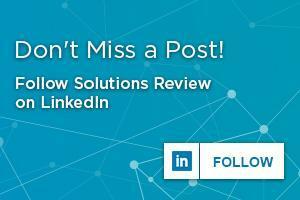 Solutions Review is a collection of technology news sites that aggregates, curates and creates the best content within leading technology categories. Solutions Review’s mission is to connect buyers of enterprise technology with the best solution sellers. Over the past three years, Solutions Review has launched over 15 tech Buyer’s Guide sites in categories ranging from Cybersecurity to Mobility Management, Business Intelligence, Data Integration, Cloud Platforms, and Content Management. Should Risk Analytics Bridge the Cybersecurity Talent Gap? Are C-Level Leaders on the Chopping Block over Cybersecurity?